Note: for an updated (Jan 2012) version of this post, see The Performance and Potential Matrix (9 Box Grid) – an Update. The tool is best if used by a team and facilitated by someone who has experience with the process. This could be an HR person, OD consultant, or someone responsible for leadership development or succession planning. You should present the tool and process to the team to make sure they all understand and buy in to the purpose and process. Don’t underestimate the amount of anxiety if a team has never done anything like this before (a ranking exercise). It’s best to decide ahead of time how performance will be assessed (use a leadership competency model if you have one) and how potential will be assessed (again, best to decide ahead of time – I use specific potential criteria). You could also ask for any other relevant information, such as years in current position, diversity status, retention risk, or relocatability. I usually have each manager plot their direct report managers (one level at a time, so we’re comparing apples to apples) and send their completed grid to me. I then consolidate all of the names on to one grid. Either as part of a multi-day off-site meeting or a standalone four hour meeting bring copies of the consolidated grid and start the discussion. It’s easier picking someone in the 1A box (highest performance and potential) where you think there may be little disagreement. Ask the sponsor manager to explain the rationale for the assessment. Ask lot’s of why’s, then invite all others to comment. Don’t rush it, the benefit of this process is in the discussion. After all have been heard from, if there is agreement, then you have a benchmark for all others to compare against. If disagreement in perception, ask the sponsor manager if they want to change their mind based on the feedback – usually they do – but if not, leave it. Pick another name until you establish the benchmark. You can then discuss rest of the names in the 1A box, then move to the bordering boxes (1B and 2A). Then move to the 3C box, and again, facilitate a dialog to establish another benchmark. Continue the discussion for each person, or as many as time permits. If time, or most likely at a follow-up meeting, the team can then discuss development plans for each leader. For succession planning, the focus should be on the upper right hand corner boxes (1A, 1B, and 2A) – this is your high potential pool. Follow-up on a quarterly basis to monitor development plans. Repeat the assessment process at least once a year. Need help using the 9-box? I can help you and your management team learn to use it, and/or conduct a talent review meeting for you. Email me at: dan@greatleadershipbydan.com. Yes, it would have been better to include a picture, but I couldn’t figure out how to draw it on blogger. I would be willing to send you a word document template. Are there also any definitions how to asses the potential (for the grid)? I know that is very subjective, but are there some genaral observations for each of the 3 groups that can help with making the decision? While it won't tell you if someone is a 1,2,or 3 it will at least give you some consistent, research-based criteria to remove some of the subjectivity. I've also used other factors, such as willingness to relocate and "readiness" to differentiate. I have been searching fot the performance Potential matrix a couple of weeks now, and at last some one that can help me. Please send the matrix to me. Can you please e-mail me the Performance Potential Matrix? Would it be possible for you to send me the Performance Potential Matrix? I've just come across this and it is really pertinent to where my team currently are. New to this type of approach but seems like it would be a good template for assessment. Please would you forward word doc.Thanking you in advance. 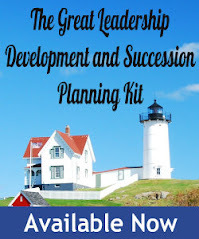 Would be great if you could send a copy to me and the advice you gave on "How to identify leadership potential" - the link on the blog no longer exists. Can I get a copy of this matrix? This is exactrly what I've been looking for. It could be possible for you to send me the potential matrix? This looks like exactly what I need. I would be so grateful if you could send me the matrix? Could you please mail me a copy of the matrix or publish it in your blog..It would be so much useful for many of us - I guess there are lot of us (readers) troubling you with this same request..hope you dont mind!. I'd be glad to send it to you, but I need your email address. I can't publish it - it's a word document, and the blogger template I use can't upload a document. Hello. Could I get a copy of the matrix template as well? Thank you so much! Thank you for these great info I have been looking for something like this for awhile. I've also been looking for a 9 box grid. Could you please send it to me? I also want you to send me all the info you can about the 9 box matrix, also I want to ask you if a book exist on this subject. I was looking for information about 9 Grid box and stumble upon your site. Could you send me more information on the matrix. I'm glad you found Great Leadership! I's suggest searching the archives on this siste - use the google search bar, and look under "performance potential"; you'll find a number of posts. 3. What does the organisation we get out of this. Guess it's hard to keep a good thing a secret. Funny, this person wrote an article just like yours - verbatim. Thanks for pointing that out to me. Looks like outright plagiarism to me. Whatever. I found the information very useful. What are the typical behaviors or results an employee would show to be placed in each Box? Would it be possible to have a list of it? Does it vary according to the professional level? I am interested to know once the organization compiles this data...what are some of the demographics they may be interested in seeing or tracking? Some organizations track EEO data, others track location, age, position, organziation, all kinds of stuff. For those of you looking for a 9 box grid, I'm happy to share- please email at cessig@santander.us.